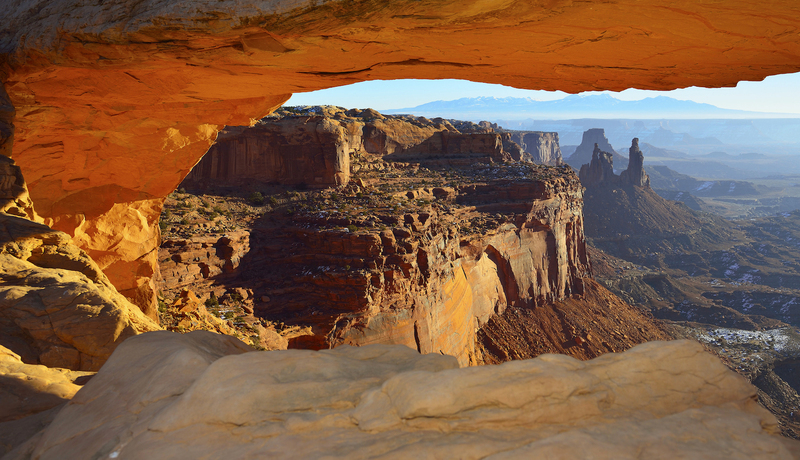 Canyonlands offers a vastly different experience even though its only across the valley from the more famous Arches National Park. Starting in Moab, we travel to the Island in the Sky District continuing along Grand View Point Road. 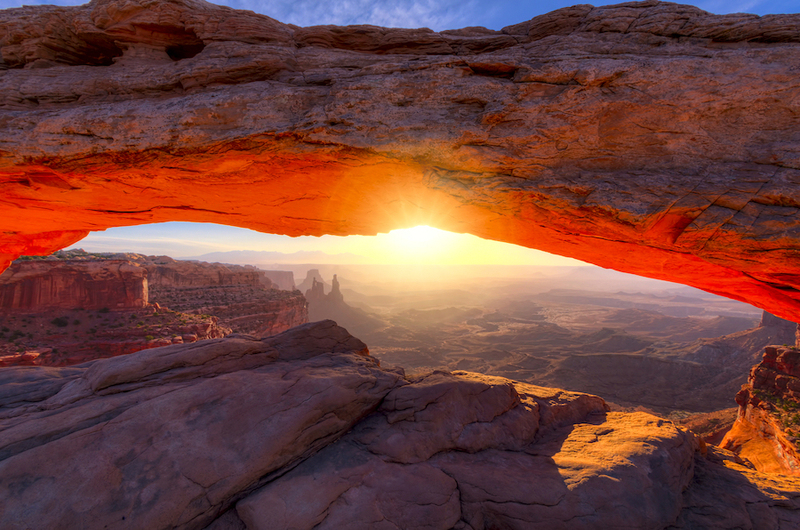 Enthusiastic photographers should get up early if the want to capture Canyonlands’ most famous image – sunrise through Mesa Arch. If we start later in the day, arrange your time so you are still in the Park for a spectacular sunset. 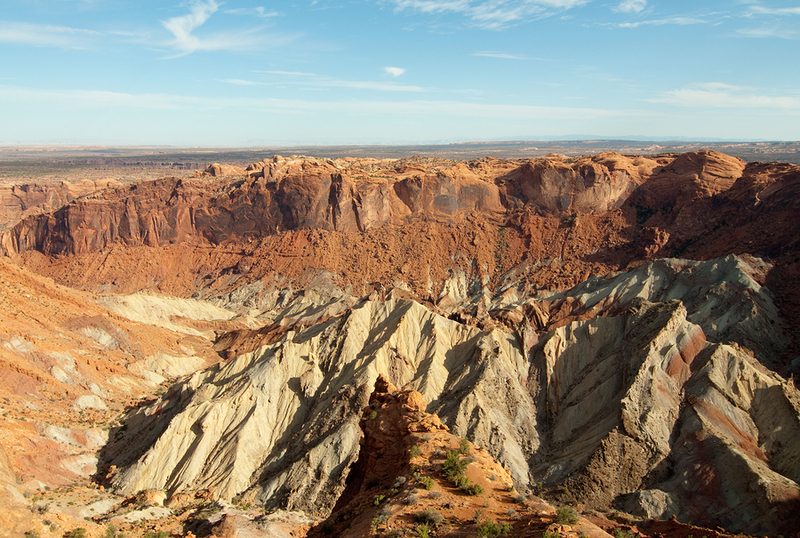 Along the way we’ll examine perplexing elements at Upheaval Dome and how this has led to two different theories behind Utah’s “belly button”. A view to the Merrimac and Monitor Buttes will have you imagining them as the American Civil War armor plated ships, or ironclads, that they resemble. Gaze down into the depths at Green River Outlook carved by the unrelenting Colorado and Green Rivers. 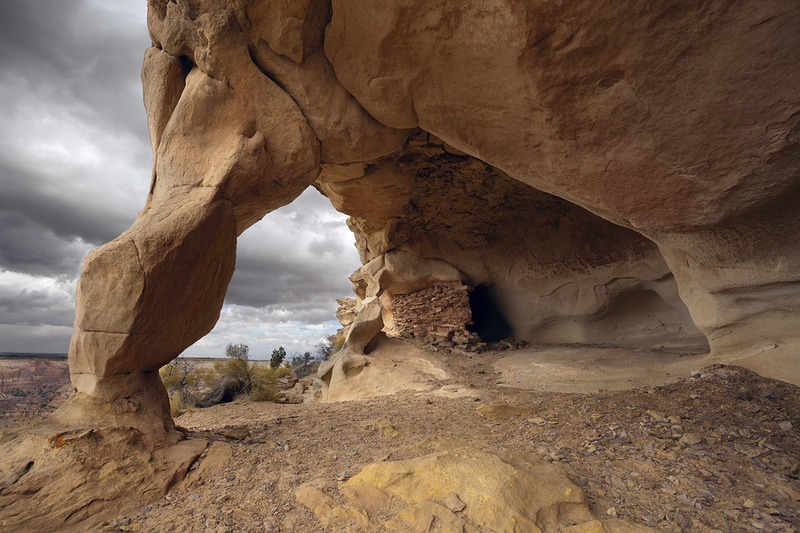 Those fit and properly prepared should hike the Aztec Butte Trail to view ancestral Puebloan structures called granaries. 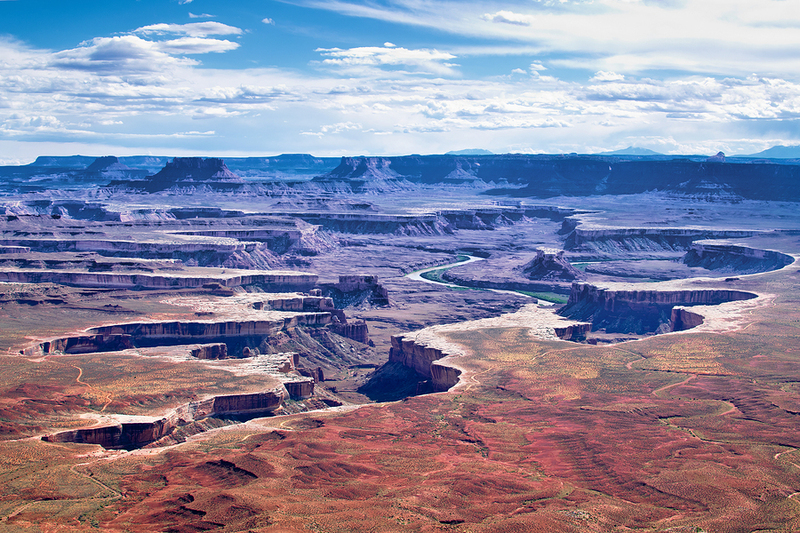 For those with limited mobility Canyonlands offers many easily accessible scenic viewpoints, and each one adds to understanding how this is an island in the sky. The tour ends on the drive back to Moab. Two National Parks, One Destination. 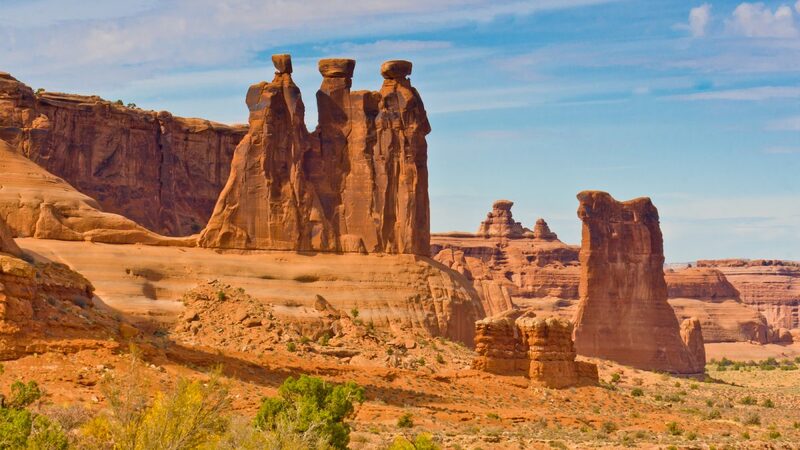 Both our tours are included in this comprehensive guide that explores the towering Arches National Park & deep valleys of Canyonlands National Park. The incredible Island in the Sky. 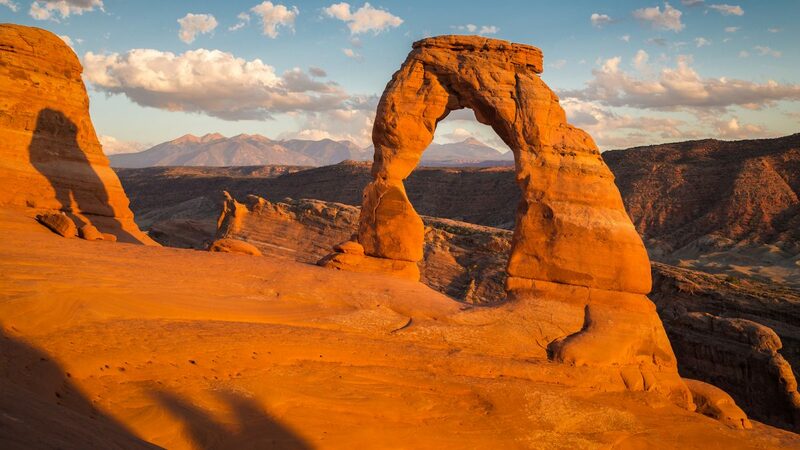 In contrast to Arches National Park, but just as spectacular, don't overlook this National Park on your visit to Moab. More incredible outlooks of cliffs and canyons. Breathtaking Land Features. Beyond the amazing natural formations, you'll hear stories about the fragile ecosystem and some of the characters who were drawn to the challenging desert environment. 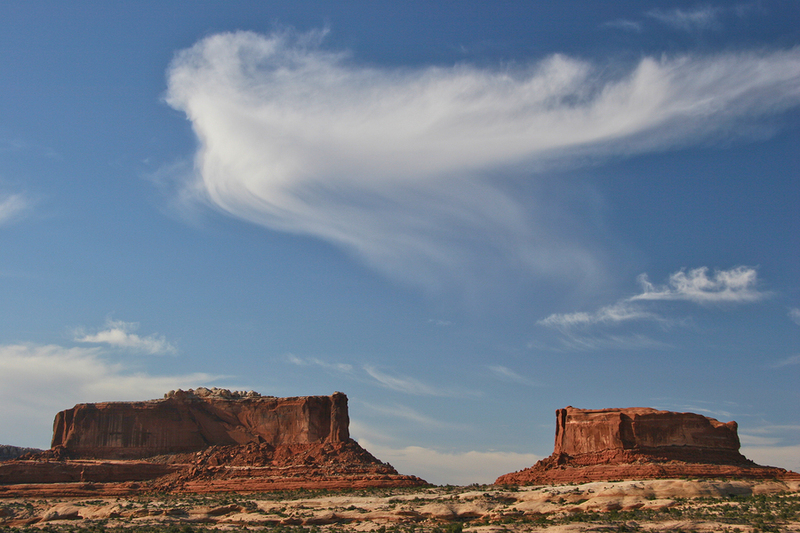 The tour starts in Moab by following Highway 191, N Main St, north towards the Park entrance. A few minutes after we pass the entry to Arches National Park, we will turn west onto highway 313. We will reach the entrance to the Park after approximately 20 minutes. If arriving from the north, join the tour by turning right onto Highway 313. Is Needles included in the tour? Unfortunately not. 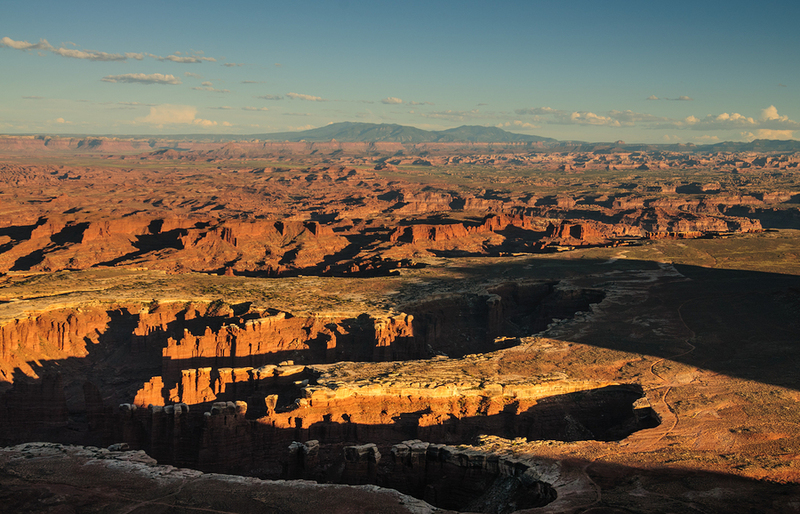 The tour for Canyonlands National Park covers the Island in the Sky portion of the Park, and this is the section that has the most things to see. The Needles part is worth visiting, but the entrance to this small area is located 60 miles south of Moab. Bring snacks lunch and water. There are no services available once you enter the Park.